Getting good information out on the sidewalk program has been an interest of mine because residents tell me it is an interest of theirs. While walking the streets I have received numerous inquiries about the program. Two stick out. 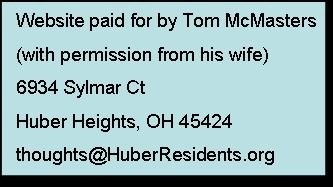 One gentleman on Tomberg had received his estimate from the city and then went out and got an estimate from a company. The estimate from the company would have repaired more of the area than the city said needed done. The estimate from the company was understandably a couple hundred dollars more than the estimate from the city. He decided to let the city do the work. 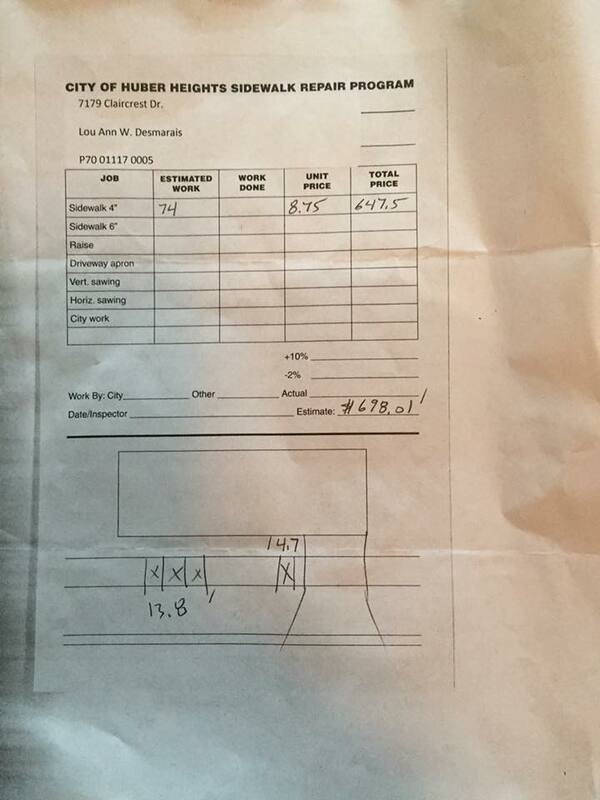 When he talked with me, he showed me the estimate from the company and the actual bill from the city. 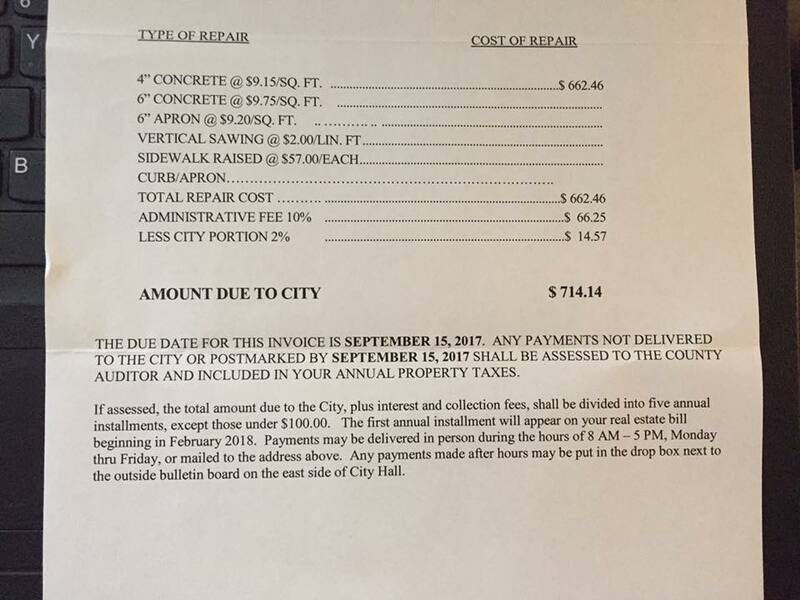 Though the work the city did was less than what the company did the bill from the city was a couple hundred dollars more than the company estimate. The other conversation that sticks out was with a lady that had been approached by a company that showed up a few days after the sidewalks had been marked. They told her about the city sidewalk program and added the additional commentary that if she let the city do the work it would be much more expensive than the $2,000 they would charge. They also told her to disregard any estimates from the city because the city always charged a lot more than they estimated. I judged the sales pitch from the second example as an attempt by a company to take advantage of a resident but I was concerned about the man’s example because he had shown me both the city’s bill and the company estimate. 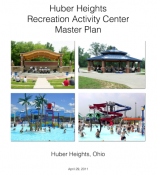 A simple table like the one above that is published and residents can look at themselves would go a long way in giving residents confidence they are making a smart decision on whether they should hire a company or let the city do the work. This would not be that much additional work from staff. They already produce a very similar document all they would have to do is delete a few columns and then write the paragraph explaining the Max Invoice and Deduction columns. 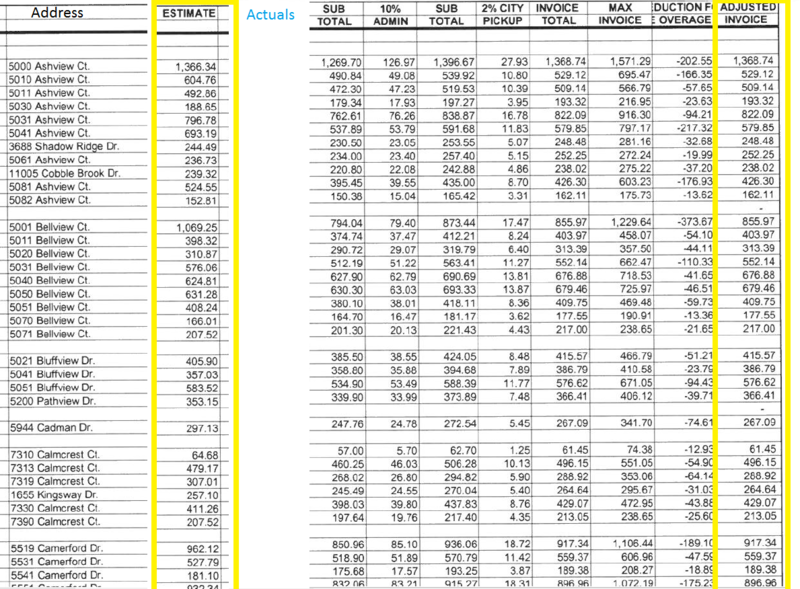 You can see the full document showing all the properties if you click on this link. Looking at these documents a resident can see that if next year works like last year then most residents get good estimates from the city. In fact, some are lower. This is interesting because I was following a Facebook thread and a resident posted the letters she received from the city. The thread itself shows there is a lot of interest in getting good information from the city. One piece of feedback I have passed on to staff is that the estimate should be clear if the $698 was suppose to be the final cost or the cost of just the concrete. From the second page of the estimate you can see it is the cost of the work plus the administration fee. 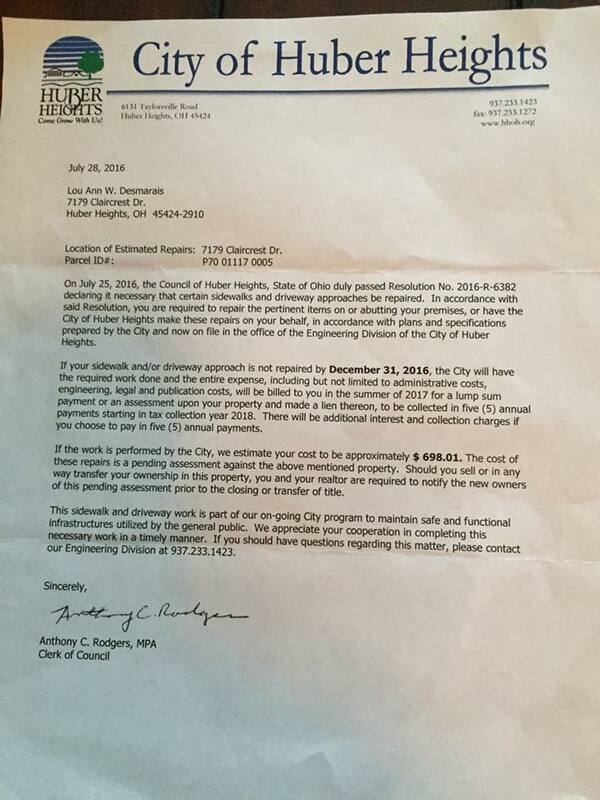 However, the admin fee is not shown in the document so many residents might miss this. In this residents case her estimate was $698 but she ends up paying $714. As an aside the list of contractors that have a permit to do concrete work in the city right a way (your sidewalk) is posted on the city website. Look for the Bonded Concrete Contractor List on this page. The city should pay for the sidewalk repairs since they are on city property. I am sympathetic to this argument. However, people are more likely to take care of the sidewalks and not do things to ruin them - like park their cars and trucks over them or plant trees right next to them, if they are responsible for upkeep. As a side note other cities around this area also make residents pay for the curb work that is done. I am glad we do not follow their lead on this.